Safe area even at night, located just a few minutes walk from the bus and underground stations. The front staff service was great but the place itself was less than great. The triple bunk beds were so close together that I could barely get in. Plus, the bathrooms and showers were not very clean. The kitchen was good but overall, would not stay here again. Not horrible, but I wouldn't stay here again and would rather spend an extra couple euros for a better hostel. The reason I picked this was for the free breakfast and 24 hour reception. However, the sink in the bathroom didn't drain, the floors were dirty and looked like they hadn't been swept in ages, and if you wanted to use a locker you had to go down to the common area. If you're looking for economic, then it's fine. very basic and not updated and minor problems, but fine. Believe people when they say it’s bad but you get what you pay for! Nice location because it’s close to some attractions but no restaurant or markets nearby a walk distance. 3 beds bunks, believe me it’s hard!!! Very dirty!!!!! Like super dirty especially chicken, toilets. Staff is ok I would never go back or recommend to a friend. I did not enjoy my stay. The place did not seem clean at all. I would not recommend this stay to anyone. The staff were friendly at times. If you're a group of college students looking for a place to stay over the weekend, just do yourself a favor and don't book. My friends and I aren't picky people by any means, but this place isn't clean, has a weird atmosphere, and is just not a nice or comfy place. I will say the location is great and the man working at the front desk was very nice, but your money is better spent elsewhere. My friends and I arrived at the hostel, and by dinner had booked a hotel for two nights. The location was not in an ideal location. The place did not look like the photos, security in the rooms was minimal. (No places to lock stuff without paying for a lock). Bathrooms were clogged and the sink did not work. I would not recommend staying here, not a good value for the price. Could find much better places for just a bit more. The only thing nice about this place was the friendly front staff. Very nice person who was helpful. Other than that this was not a great experience. 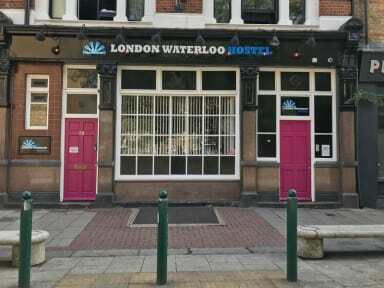 Worst hostel ever. They crammed me and another girl into a room full of 10 guys who obviously never heard of a shower. They were able to shower there because there was only one working one on the floor and at least 5 full rooms of people on each floor. The room was hot and stuffy and I didn’t see any windows to open. There was piss and something else all over in all of the bathrooms. The stairs looked like you could fall through them if you had an extra 10 pounds on you. Do not recommend.